Macro reporting is aggregated data for the entire group. The data some may concern to be low level or not as important as detailed or micro data. However, macro reporting in the call center has key benefits. · Multiple report levels that allow drill down from high level macro to group level macro. 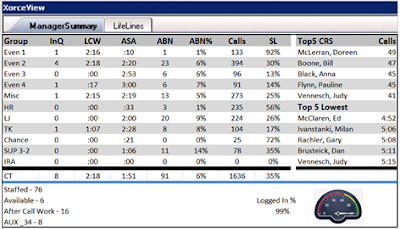 The contact center can use macro level reporting on group level wallboards, agent desktops, supervisor dashboards, and even up to the manager dashboard. 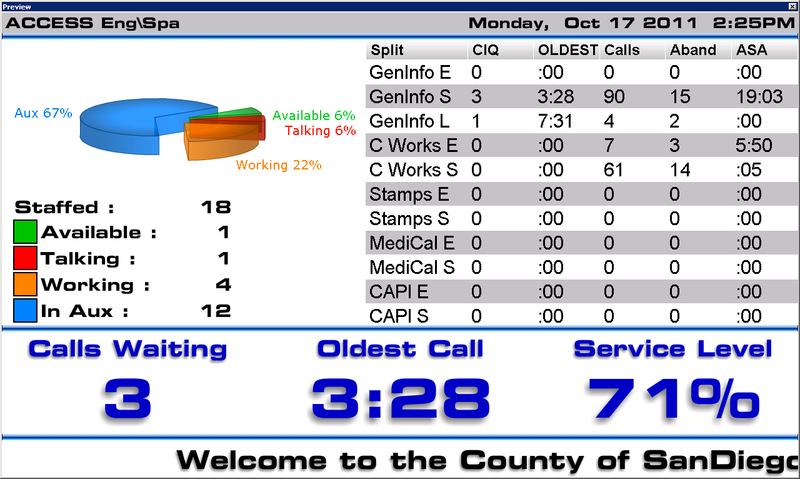 The manager dashboard would need to be able to drill down to the micro level but could start out with the macro level. 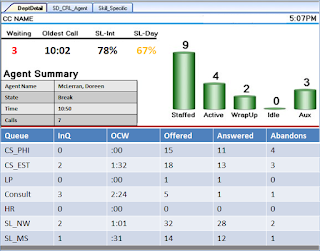 In this example the wallboard reporting migrates from group level data to agent states data. The purpose of these two reports is to show the call center the overall performance status and then display current agent states. This reporting solves or reduces problems in the call center by keeping the teams of agents aware. Your call center may have high cubicle walls or agents spread across multiple floors for the same group making wallboards unproductive for you. Agent desktop reporting provides the agent real time status information for the groups. · Desktop wallboards can be minimized down and then pop up when critical thresholds are exceeded. · Critical data is easy to see and respond to. Supervisors have many duties and responsibilities. They not only manage agents but they also take calls, handle emails and reply to chats. Yet when they report to the manager they need to be aware of the top performers in the group. Having the top agent information is not always an easy task. One of the benefits of Macro level reporting is the customization of the aggregated data. · Combined group level data. Some platforms do not combine skills together into a single group. · Enhanced report. Some platforms do not allow you to modify the report so critical data is not easy to see. Simply stated, mobility. Managers and supervisors at times need to be mobile. 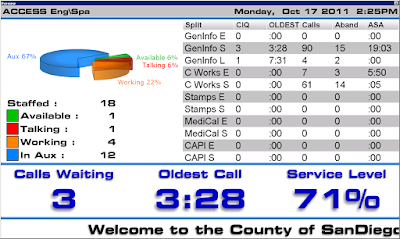 While being mobile overall contact center status and performance are important to have available. When managers are not in the office that is when things can go wrong. If the manager can stay alert to the call center performance she can notify the supervisors of changes that need to happen. · Drill down to micro data and historical data.